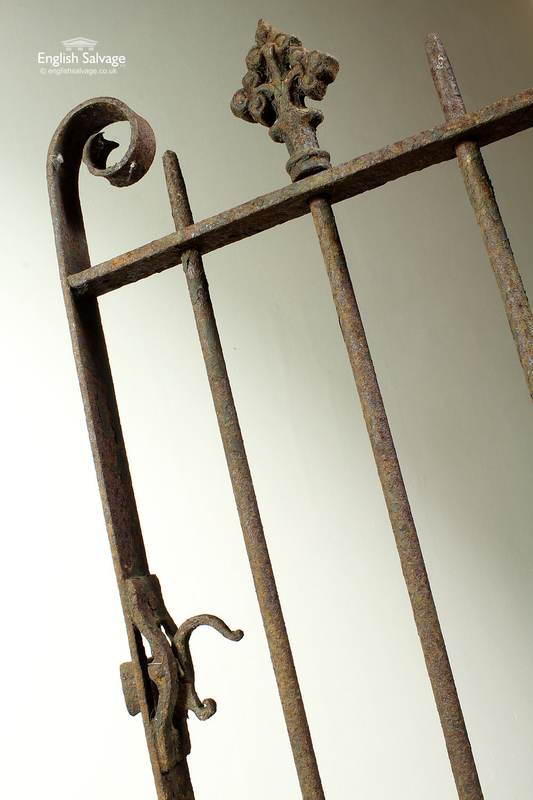 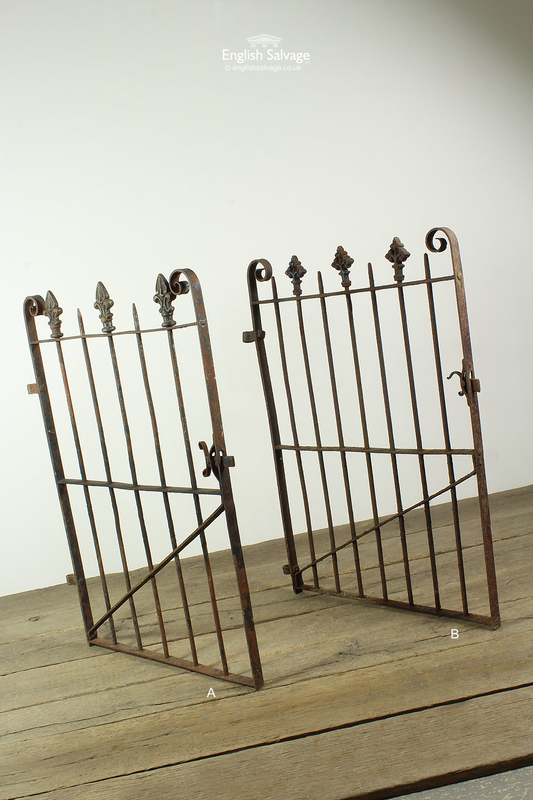 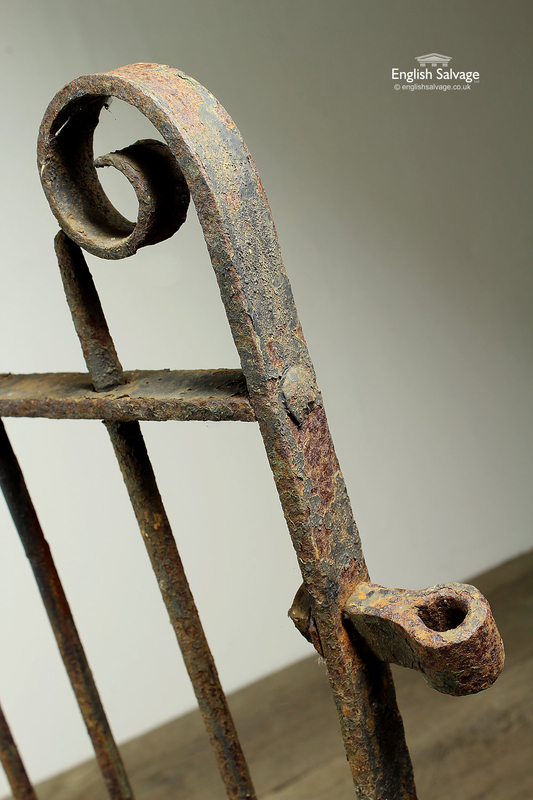 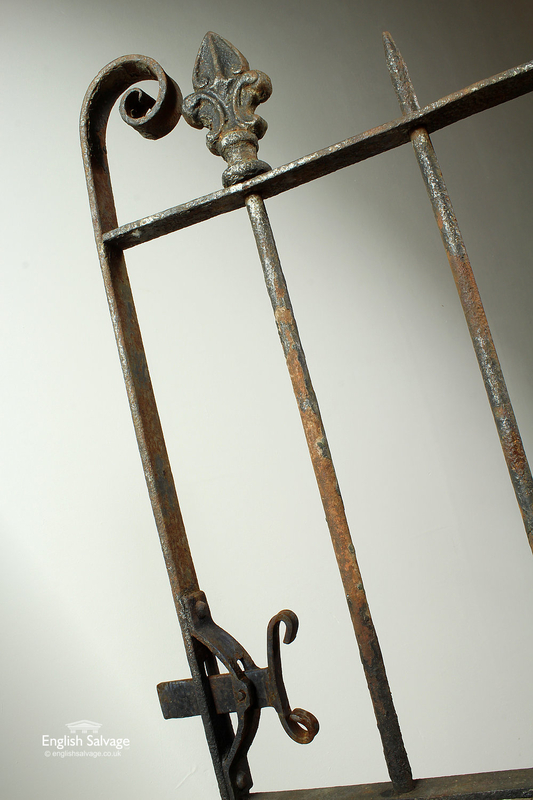 Salvaged wrought iron spear top single gates. 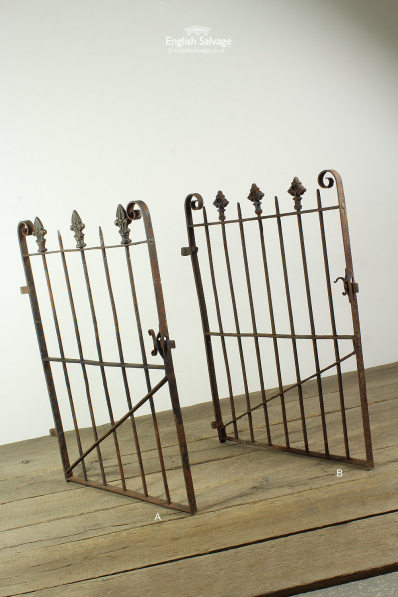 Gate A is 85cm wide x 109.5cm high x 3cm deep and the dimensions of gate B are stated below. 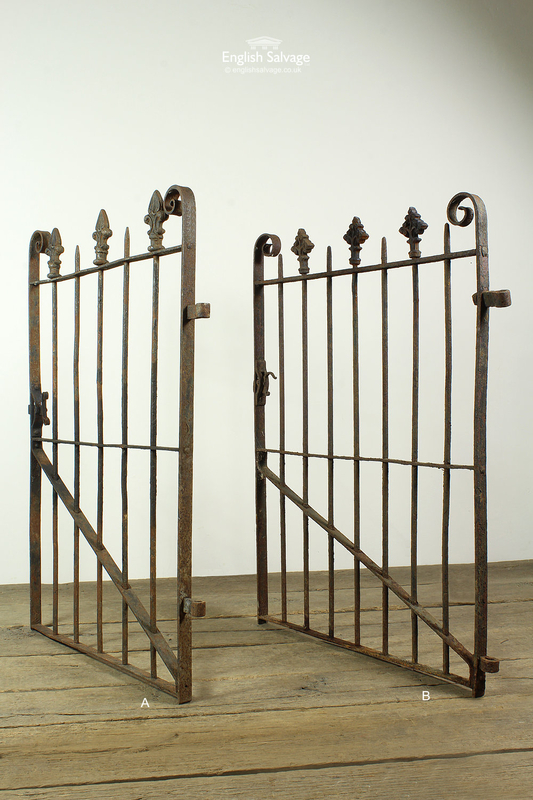 Both gates show signs of weathering, but are in solid condition.